WOW, so much for your money - in town but your own private oasis!!! Main House - 2,650 Sq. Ft., 3-BR, 2.5 Baths, Garage. Guest Cottage - 1,278 Sq. Ft., 1 (or 2) BR, 1 BA, Full Kitchen, Garage & Storage. Both in excellent, well-maintained condition on 2.89 acres (mostly cleared). 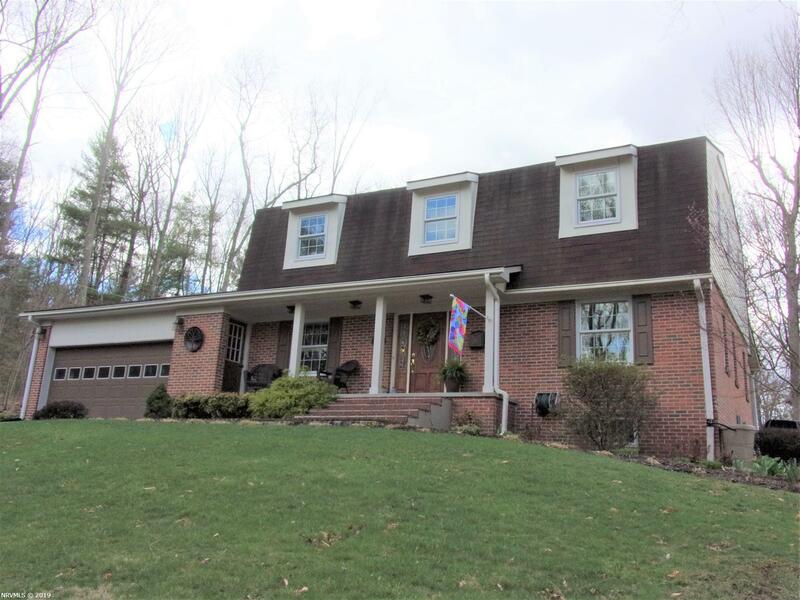 Paved driveway; Decks; Lighted basketball court; Heat pumps; Solid oak HDWD, carpet, ceramic tile; Custom, replacement windows w/interior blinds; Jenn-Air stove w/griddle; Bathrooms updated w/granite vanity counter tops; screened porch (2014)â¦.SO MUCH MORE!! You must schedule a showing to appreciate all this home and property has to offer!! Directions: 460w To 1st Pearisburg Exit, Left Onto Wenonah, Left Onto Ft. Branch, At The Top Of Ft. Branch Home Is On The Right.